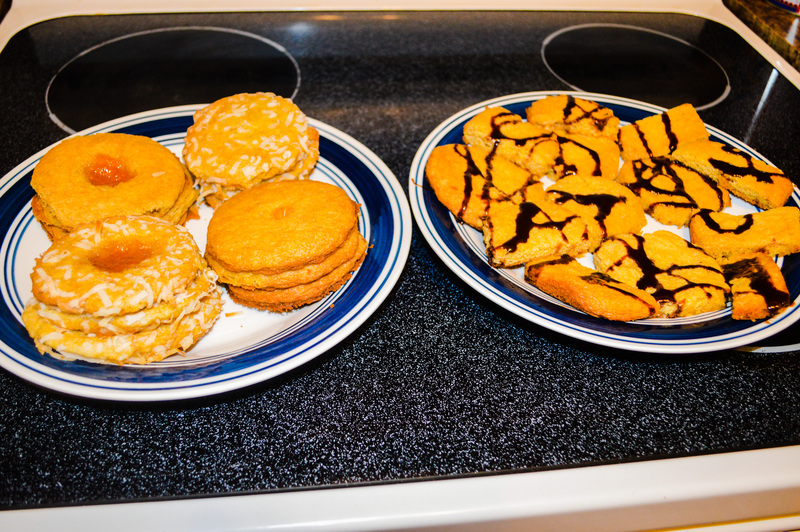 Experimental Cookies | My Journey So Far…. That’s how Otu (My 2 yr Old son) was counting cookies by watching a “counting for kids video” running on TV. Suddenly, I started hearing “Cookies, Cookies…. Mamma….I want cookies”. So, I went ahead and made some plain chocolate chip cookies. But, nothing is plain when it comes to cooking. Problem being, I try something new every time I make something. So what new now? Well, you have to read more to know that. Here is the simplest Recipe for chocolate chip cookies. Beat butter, sugar, brown sugar and vanilla extract in another bowl. Add eggs to it, one at a time, mixing thoroughly. Mix the flour mixture with egg mixture. Add morsels and nuts, stir well. Now make small rolls and place them in baking sheet. Let them rest for 2 minutes, and Ready to go. But, what was new that I talked about? Well, it got more to do with presentation. So, instead of chocolate, I used butterscotch morsels, for the one thing. Next to do was use shredded coconut. 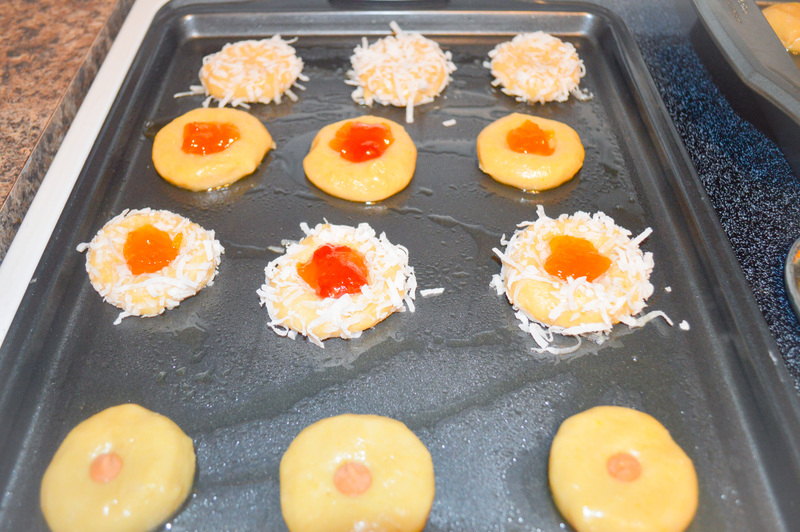 For this, roll your small cookie dough into shredded coconut, and then bake. 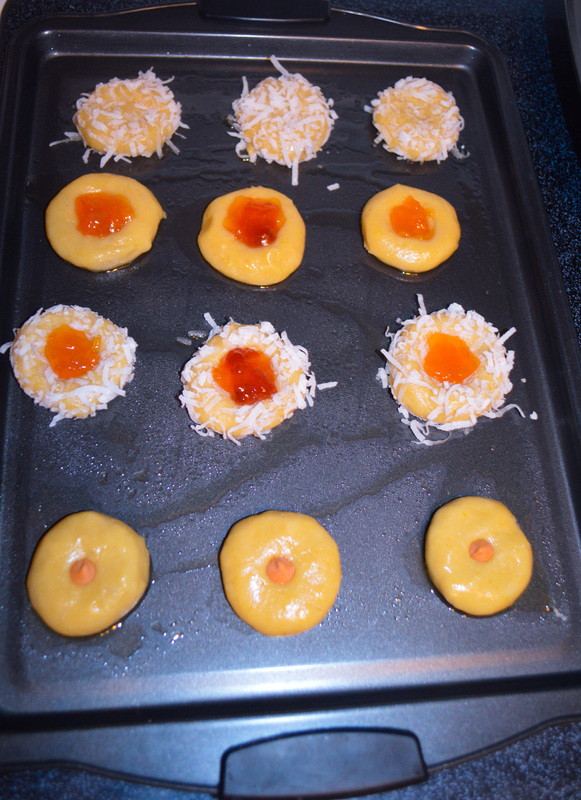 Third, I used my pineapple jam, as filling. Just placed a half spoon of it in the middle. Baked and done. 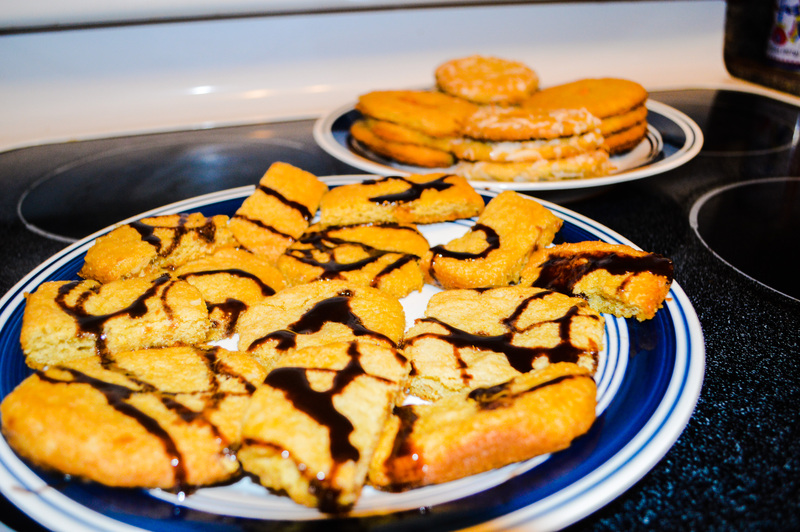 Fourth, I used chocolate syrup to do some fancy work on some of the plain cookies. Fifth, did some mix n match. After 10 minutes, Otu and Tisha were jumping and clapping seeing their cookies in different flavors. Renne as usual has by now forgotten about the cookies, and was busy destroying one of my book. Next mission, save the Books. Anyone Up for a Late Night Tea Party? LOW Carb Chocolate Chip Cookies..Oh my! 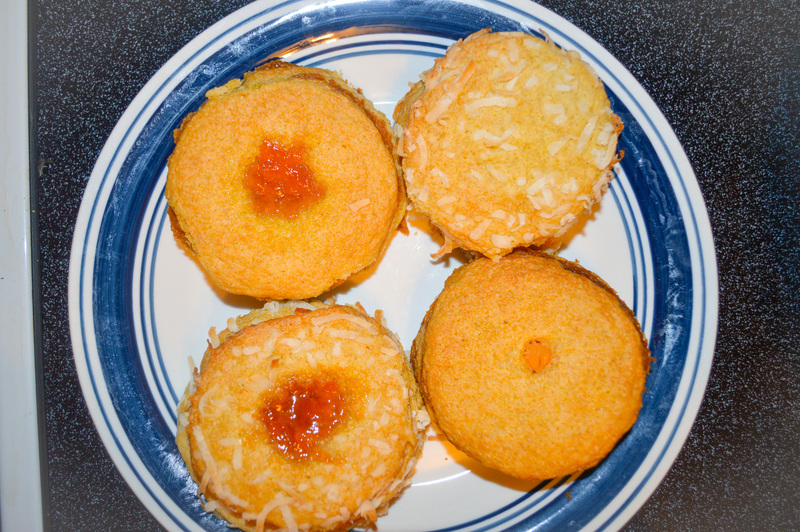 Pingback: A Three Minute Cake for My Sweetie | My Journey So Far…. Pingback: Mouthwatering Monday – Paneer Tikka | My Journey So Far…. Pingback: Mouthwatering Monday – Banana Oatmeal Cookies | My Journey So Far….